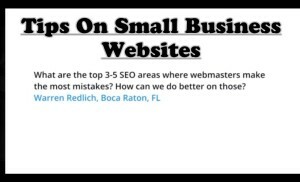 Here Matt shares some great Tips On Small Business Websites and SEO Mistakes that Webmasters Make! Where do you start? I have noticed that MANY businesses don’t know where to start or who to hire when trying to get a website or simply don’t care. What Matt (Google) is trying to say is WAKE UP small businesses! You Need a Business Website Built By a Pro. Yes you need a website to help your business grow but HIRE SOMEONE THAT KNOWS WHAT THEY ARE DOING AND GET IT DONE RIGHT THE FIRST TIME BY HIRING A WEBMASTER! These Businesses are loosing out on a WORLD of Business opportunities that have been lost to poor business marketing and planning. Oh and a Facebook Fan Page is NOT a website! But it is important to have one along with a website. If your looking for a professional SEO expert and a company with a reputation to “Get the Job Done” we can help. Contact us today for a free quote on your new business website and marketing plan. 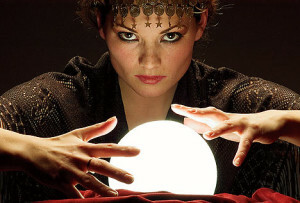 Whats happening in 2013 and whats the the future in Social Media Marketing & Analysis? So whats the future for social networking and in social Media Marketing & Analysis? We need to analyze the information provided by the top search engines, to understand consumers and we need to build and strong network of solution based websites to fulfill that need. Contact us for more information on how we can help with the struggle to get your brand known in 2013 using Social Media Marketing to Analyze the Future of your Social Media Marketing strategy. Contact us today if your looking for Experts in the 2013 Social Media Marketing and we can Analyze the Future of your businesses Social Media Marketing campaign. Remember we have predicted the estimated rise in social networking will increase by 1000 percent by the end of 2013! Dont wait! Act now! Contact us using the tab to the right of this page.